Deep in the Realm of Conscience <宮心計2深宮計> may have ended its run, but a lot of people are still talking about the show’s interesting casting choices. 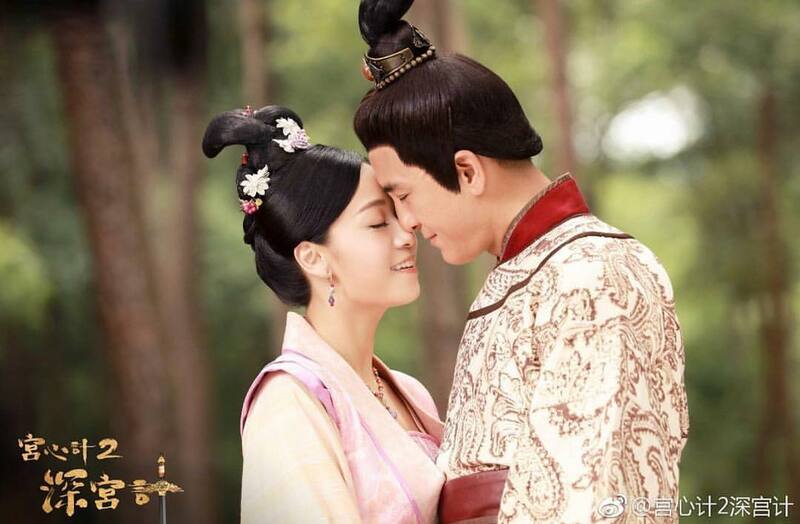 On the show, palace general Yam Sam-shu (Kenneth Ma 馬國明) is in a relationship with the palace maid Kam Yeuk-chin (Jacqueline Wong 黃心穎), but he’s also had a past with Empress Wang (Nancy Wu 胡定欣), making the situation awkward. This almost perfectly reflects the trio’s real life situation, as both Kenneth and Nancy used to be in a relationship. Just as how Yam Sam-shu and Empress Wang used to be lovers, Kenneth and Nancy also used to be in a relationship. It wasn’t until after they separated when news broke out that the two used to date. …this entire time I thought the rumors of him and Nancy were just rumors lol. Happy for Kenneth! I thought the women in of this cast were particularly amazing. @wm2017 Haha! I thought he was crushing on Selena Li for the longest time. the split was amicable, so I guess there should be no problems with the 3 of them in the same drama. honestly I really didn’t believe Nancy and Kenneth were once a couple…Jacqueline changed Kenneth’s dressing and they do look very compatible.